I don't know if anyone who works on the builds will be paying attention or not, but on PPSSPP 1.1.1, the character's eyes in some scenes, and some background objects, like when Gil finishes the Rufus Caligula part of the ship behind Haru blinks/does funky stuff, blink like crazy and it's driving me nuts. I've been trying to fix it using the settings but I can't fix it. I can't go back to 1.0.1 of PPSSPP because if I try to edit my equipment, at a completely random time PPSSPP crashes and I have to save-state every time and that annoyed me too. 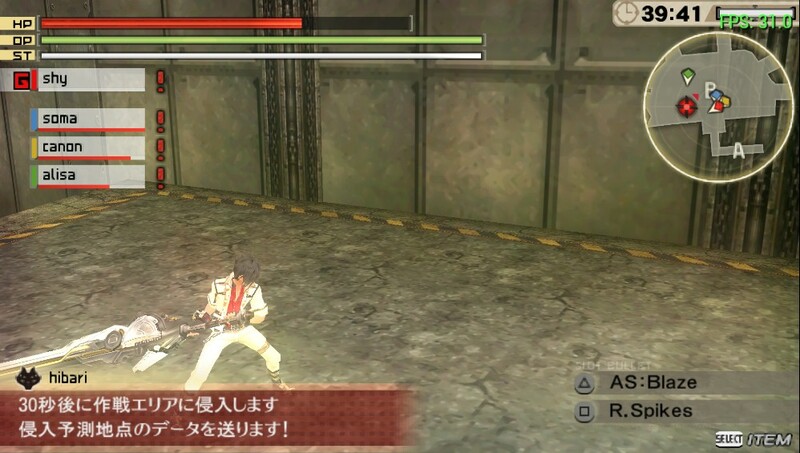 I'm having problems with this game, it works fine when I play it in ppsspp, but whenever I play it in an actual psp, it always freezes after the character customization screen, can someone help? I really need an answer, thanks in advance. So apparently both God Eater Resurrection and God Eater 2 Rage Burst will come to the west on summer 2016 for PS4, Vita, and freakin PC! Get hype guys! (12-21-2015 01:03 PM)DriveChaser11 Wrote: So apparently both God Eater Resurrection and God Eater 2 Rage Burst will come to the west on summer 2016 for PS4, Vita, and freakin PC! Get hype guys! Yep I just stumbled upon that too today. Archive includes .patch with the change to official source to satisfy GPL and extra readme. anyone know what happening with this? (01-17-2016 08:34 AM)kaiba12 Wrote: anyone know what happening with this? @iKING is your GE2 ver. 1.4? Didn't know but I know I did try it on 1.1 but it freeze when I go to mission and have someone on the party. (02-26-2016 12:41 PM)cybercjt Wrote: @iKING is your GE2 ver. 1.4?